You don’t have to be an environmental warrior to want to use 321 Water – a water bottle with its own filter. You just have to like the taste of clean, fresh water. 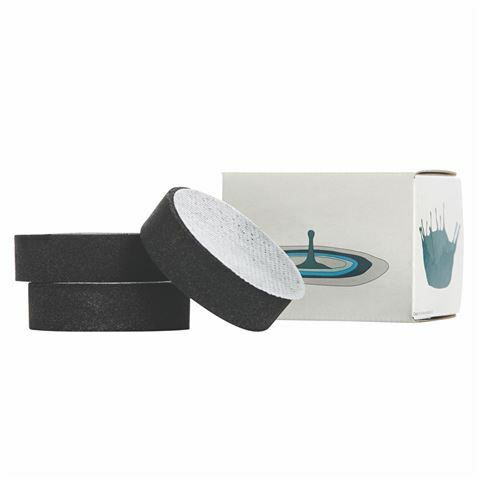 This pack of three activated carbon filters to be used with the 321 Water Bottles is essential because the filter significantly reduces chlorine, removes odours and bad tastes. This super-porous carbon is used to absorb impurities from potable tap water such as odours, tastes, organic compounds and residual chlorine. It is low impact, aesthetically pleasing, durable, portable, and free of harmful chemicals. Each filter lasts for 125 uses and at the end of this time, dispose of it in the composter. Crafted from super porous carbon. Lasts around 125 uses that’s 2 litres a day for a month. Presented as a pack of 3 in a 321 Water box.